It appears as though MacGyver has found George Eads' "replacement." Levy Tran has been cast on the CBS series following the actor's exit after nearly three seasons. According to Deadline who broke the news, Tran's role is recurring for now, and is considered a fill-in for the voice left behind after Eads' departure. Set to make her first appearance in the February 15 episode, Tran will play Desiree Nguyen, also known as Desi, who joins the Phoenix Foundation to help protect titular character MacGyver (Lucas Till) and the rest of the team on their dangerous missions. With the introduction of Tran's character, her continued presence likely depends on ratings and a Season 4 renewal — and if it all works out, she could become the show's new co-lead. The actress is best known for her roles in Showtime's Shameless and Netflix's breakout hit The Haunting of Hill House. 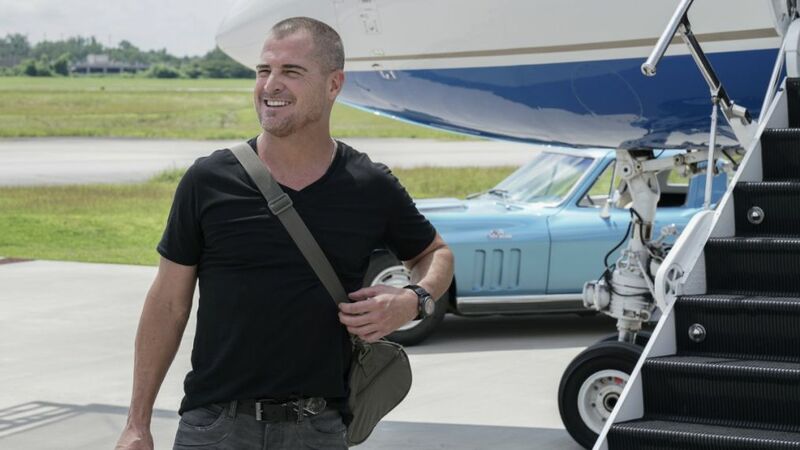 George Eads made his exit from MacGyver in the February 1 episode, making Desi's arrival perfect timing. Don't miss Tran's debut on the show on February 15 on CBS.